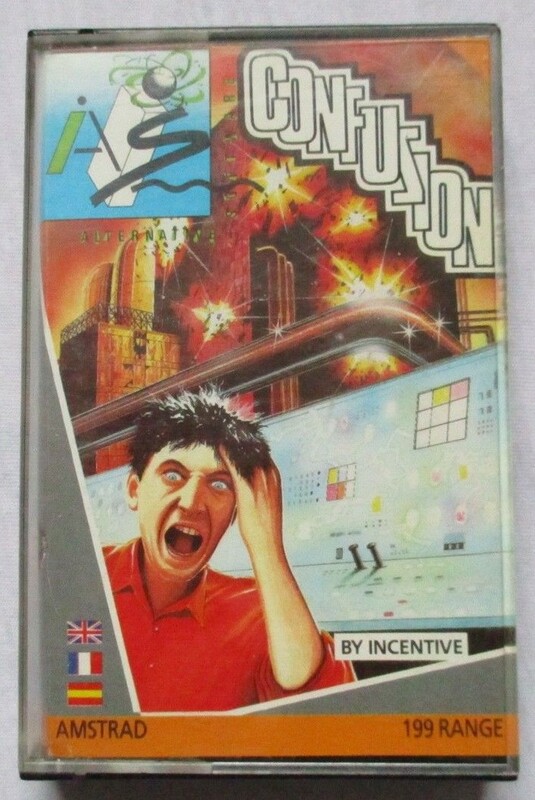 Having recently located the Confuz-ton bomb factory you have taken it upon yourself to destroy every bomb housed therein. The bombs lie on the edges of the assembly rooms of which there are 64. 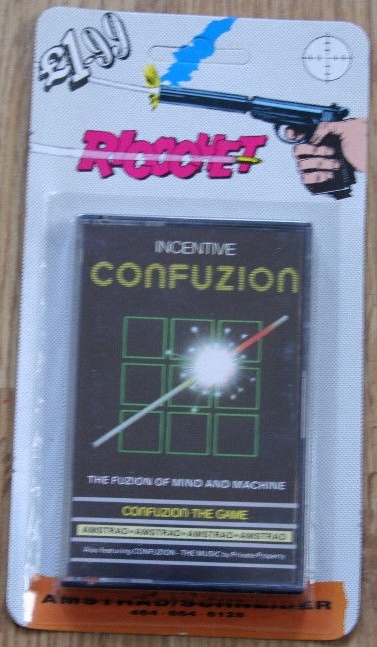 To destroy a bomb you must guide a constantly movinq spark throughout the maze to it. This is not as easy as it sounds. Each assembly room is in fact a grid of square blocks etched with a curving path. One block does not exist and you have control of it, so it can be shuffled around, altering the relationship of the other blocks. This afters the grid and so alters the tracks that the spark can go along. There is a time limit imposed before bombs explode, and on later screens not only does the layout become very complex, but there are water drips falling down the screen which may extinguish your spark. It can take quite a while before you get the hang of it and this can be quite off-putting at first. 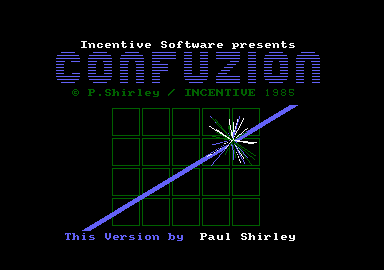 It's worth persevering though, because Confuzion is a fun game to play that proves highly addictive. The graphics are not outstanding but they do their job effectively. 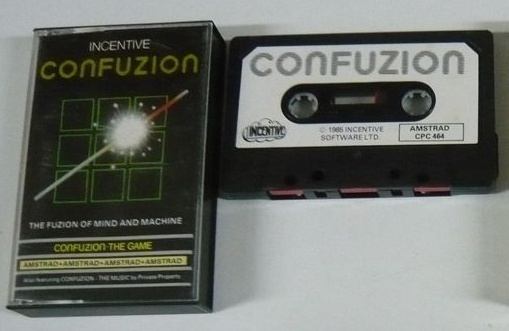 If you like fast moving, frustrating computer puzzles then you can't go wrong by buying Confuzion.